Explanation: Another moon of Saturn has been imaged in detail by the Cassini spacecraft. Orbiting Saturn since 2004, the robotic Cassini got its closest look yet at Saturn's small moon Prometheus last week. 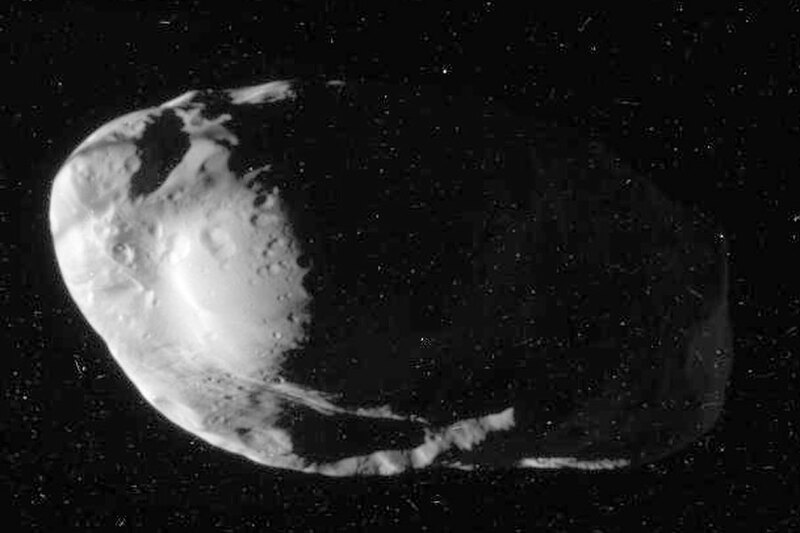 Visible above in an unprocessed image from 36,000 kilometers away, Prometheus' 100-km long surface was revealed to have an interesting system of bulges, ridges, and craters. These features, together with the moon's oblong shape and high reflectivity, are now being studied to help better understand the history of Prometheus and Saturn's rings. 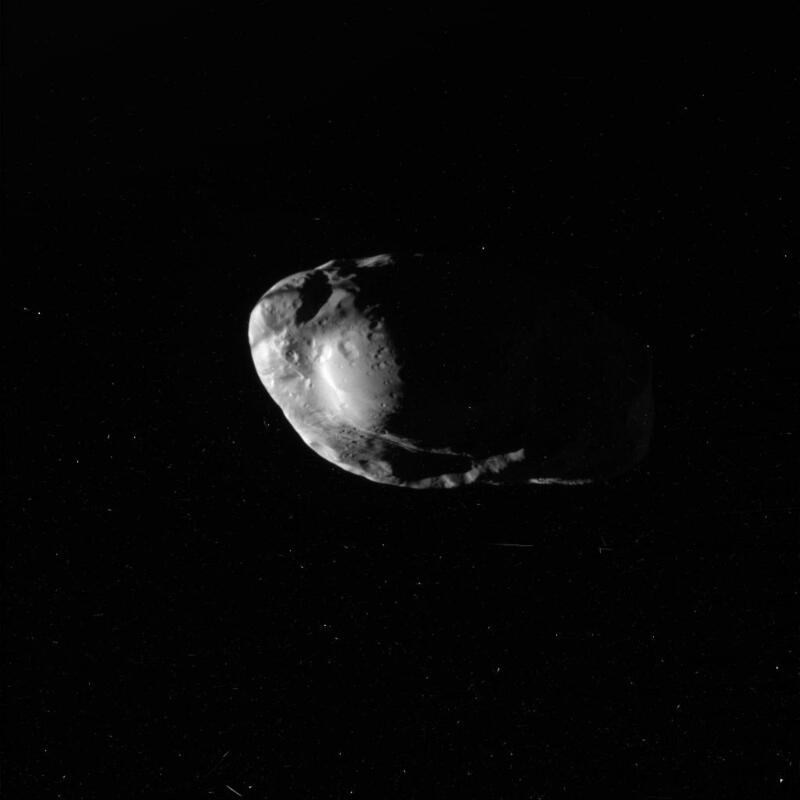 Prometheus is one of the few shepherd satellites known, as its gravity, along with its companion moon Pandora, confines many smaller ice chucks into Saturn's F Ring. Cassini's next major targeted flyby is of the moon Rhea on March 2.